Is B2B SMS Marketing an Effective Strategy to Invest On? Yes! Whenever we talk about SMS (short message service) the first thing that clicks in our mind is countless and annoying promotional text messages that we receive on our mobile phones. Well, regardless of how annoying it may seem, it’s still considered an effective marketing strategy for international B2B marketplaces. In fact, according to research around 75% of people have no problem in getting an SMS from a brand. As B2B marketers we have to step ahead and take risks by trying every marketing channel there is, to generate B2B leads. However, you have to take the right steps, or any type of promotional activity can backfire at you and destroy your reputation. Therefore, we’ve come up helpful tips to make your B2B SMS marketing campaign successful. In order to make sure that your B2B SMS marketing is successful, the first thing that you have to look in to is that all the users on your SMS list have subscribed for your services. If you start sending promotional SMS texts to just about anyone, you’ll eventually witness a decline in the rate of engagement. You may even get flagged as a spammer if too many people report your number. 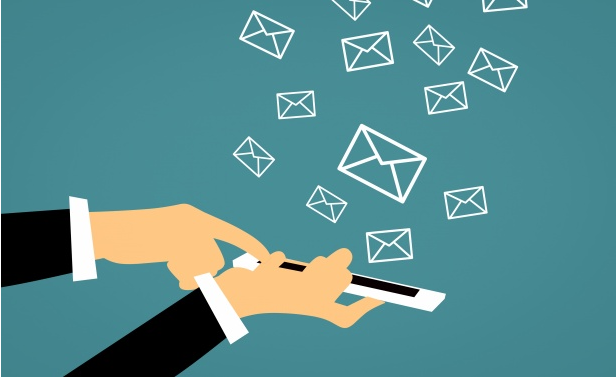 In order to make your list authentic and relevant, you can send emails to all your subscribers as an invitation to subscribe for your SMS service. Other than that, you can also promote this service on your website and social media platforms. Once you have a compelling list, you won’t have to worry about having your SMS ignored. Once you’ve started sending SMS to all your subscribers, make sure that you monitor that campaign. Just like every other B2B marketing strategy, this one also needs to be analyzed every now then. Why? Well, you’re probably going to spend lots of money on this strategy, that’s why!. If it doesn’t generate the expected ROI, then it’s better to either make alterations or simply stop and think of something else. If you really want all your SMS to generate leads and increase your ROI, you’ll have to come up with exclusive deals and discounts. Your offer will definitely be the driving force of the leads you wish to generate. In addition, you can also place an offer for all those customers who subscribe to your SMS service as a token of appreciation. People love free and discounted stuff, so this technique can surely build your SMS subscriber list. However, one crucial aspect you should focus on is the frequency and time. Don’t over send texts, because it may irritate your user. In addition, always have a look at the clock before sending your SMS. You wouldn’t want to wake someone up with your message. By creating segments in your list, you’ll be able to send the most relevant content to the right audience. In order for that to happen, you also have to know your audience well enough. For example, if you’re promoting tech goods through your B2B SMS marketing campaign and send messages to buyers that belong to a different industry, you’ll only become a source of irritation. Maintaining a happy audience is crucial for the future of this marketing strategy. Once you are able to develop a good relation with your client, all your marketing tactics will show positive outcomes. If you are running an online B2B marketplace, SMS marketing can play a significant role in boosting your ROI. Once you have won the trust of your clients, you can even add links in your messages to enhance both your traffic and the number of quality leads. However, just like any other B2B marketing technique, planning is essential. To start off, follow all the tips we’ve mentioned above. Once you’ve got the hang of it and are generating useful results, you are free to experiment with new ideas. Beatrice McGraw is a digital marketing expert who works for ExportHub – A Foreign B2B Marketplace. She just loves to share her knowledge with the world in the form of blogs, videos and various other types of content. In her free time, she is an active gamer and a techwiz who adores researching innovative solutions that emerge in the digital world. Follow her on Twitter here: @McgrawBeatrice. Previous Previous post: Want A Thriving Business? Focus On Social Media Marketing! Next Next post: How Bulk SMS Can Be Used In The Education Sector In India?